Plus…. Wonders of Life Pavilion to reopen as a Play-Themed Pavilion, Odyssey Restaurant transforms into a new Events Center, and more! We begin the March 2019 Edition of the WDW Radio Newswire at Disney’s Hollywood Studios, where a ton of new details have emerged from Star Wars: Galaxy’s Edge. Let’s begin with one of the two signature attractions coming to the planet Batuu, Star Wars: Rise of the Resistance. From past updates, we know this ride will put Guests right in the middle of the action, as we’ll be playing the role of fresh new recruits of the Resistance. We also know the attraction will put us inside a First Order Starship and Star Destroyer, culminating in an unforgettable encounter with the Dark Sith Lord Kylo Ren. Some new details have just emerged on the pilot for our transport ship, as this role will be filled by Nien Nunb, who will be one of several new advanced Audio-Animatronics. Several next-generation Audio-Animatronics will be a part of the Land, and the first A1000 class Audio-Animatronic confirmed for Galaxy’s Edge can be found in the form of Hondo Ohnaka at the other signature attraction, Millennium Falcon: Smuggler’s Run. The lifelike Hondo is 6 feet tall and is eager to show off his smuggling expertise (or lack thereof!). But these A1000 class Audio-Animatronics aren’t exclusive to the attractions, as they will be found in other locations in Batuu’s Black Spire Outpost. Let’s stop in for a drink at Oga’s Cantina, where we’ll find another Audio-Animatronics in the form of a record-spinning DJ who may be familiar to some of you, as this role is filled by none other then Captain Rex from the original Star Tours! Rex has hung up his pilot wings and is entertaining the patrons at Oga’s with his DJ skills. While we’re here, let’s take a look at the drink menu proprietor Oga Garra has put together, which consists of a nice mix of alcoholic and non-alcoholic concoctions, each served in their own uniquely shaped glass. Beverages of the alcoholic variety include names like Bespin Fizz, Bloody Rancor, Dagobah Slug Slinger, Fuzzy Tauntaun, Jedi Mind Trick, Jet Juice, The Outer Rim, Spriran Caf, T-16 Skyhooper, and Yub Nub. Non-alcoholic blends include names such as Black Spire Brew, Blue Bantha, Carbon Freeze, Cliff Dweller, Hyperdrive Punch It!, Jabba Juice, Moogan Tea, and Tarine Tea. But if you’re looking for a hearty meal, look no further then Docking Bay 7 Food and Cargo. Chef Strono “Cookie” Tuggs serves up the grub here, which includes exotic entrées like the Braised Shaak Roast (beef pot roast), Fried Endorian Tip-Yip (chicken dish with vegetable mash), Ithorian Garden Loaf (plant-based meatloaf), Smoked Kaadu Ribs, Oven Roasted Burra Fish, and Yobshrimp Noodle Salad. Docking Bay 7 Food and Cargo also features a kid’s menu, as well as a few dessert options to satisfy your sweet tooth. Other food and beverage options around Star Wars: Galaxy’s Edge include Kat Saka’s Kettle, which serves up a savory blend of salty, sweet, and spicy popcorn known as Outpost Mix, as well as the Milk Stand, where you can get blue milk or green milk, both served up farm fresh directly from Bubo Wamba Family Farms. The beverage will be a soft-frozen mixture infused with berry and melon flavors (think smoothie/shake). Finally, the fifth food and beverage location to discuss today is Ronto Roasters, where you’ll find the proprietor has recycled an old pod racing engine and converted it into a spit-roaster of delicious meats. At the helm of the spit-roaster is the former smelter droid 8D-J8, who meticulously cooks the juicy meats, all the while complaining about his daily tasks to the passing customers. Time to park-hop over to Epcot now, as there’s major news to report out of the Wonders of Life Pavilion. This is really exciting, and was set to be this month’s headline topic until all the Star Wars news hit last minute. Get ready, it looks like Disney is ready to breath new life into the old pavilion, as it was recently announced Wonders of Life will be reopening its doors with a brand-new “Play” theme for the Pavilion! The yet-to-be named pavilion will showcase the fun created through playful activity and movement, with a bustling, interactive cityscape at the forefront of this experience. Underneath the pavilion’s giant dome, the city vibrantly comes to life around you, with family-friendly interactive elements and hands-on experiences everywhere you look. Beloved Disney characters will also be in the mix throughout the pavilion, which is sure to provide a truly unique and new adventure when it debuts. Current plans have the new play pavilion set to open in time for WDW’s 50th Anniversary Celebration in 2021. For more Epcot news, let’s venture over to the old Odyssey Restaurant, which has now been dubbed the Odyssey Events Pavilion. The Odyssey has re-emerged on the scene after a refurbishment to renovate the old dining space for a new Guest Experience Center. This space will be filled with the latest models and concept art for everything new coming to Epcot. From Remy’s Ratatouille Adventure to Guardians of the Galaxy, and The Space Restaurant to the new play pavilion at Wonders of Life, you’ll find all the latest information on these projects and more at the Experience Center. Our final bit of news today takes us back to the front of the park, where Disney recently confirmed plans to re-work the area around Epcot’s Main Entrance. This will allow easier movement for the foot traffic around the entrance, and there are several plans in place that will transform the area to closer resemble its original appearance when EPCOT Center first emerged onto the scene in 1982. The Leave A Legacy Photos will be relocated to a nearby site next to the entrance, and the large granite columns will be permanently removed with no current plans for relocation. In addition, we will be seeing a brand-new fountain for those picturesque shots in front of Spaceship Earth. Work is set to begin in phases this Spring. There are also plans in place for an overhaul of the area between Spaceship Earth and World Showcase Promenade, with details on those plans to be announced at a later date. 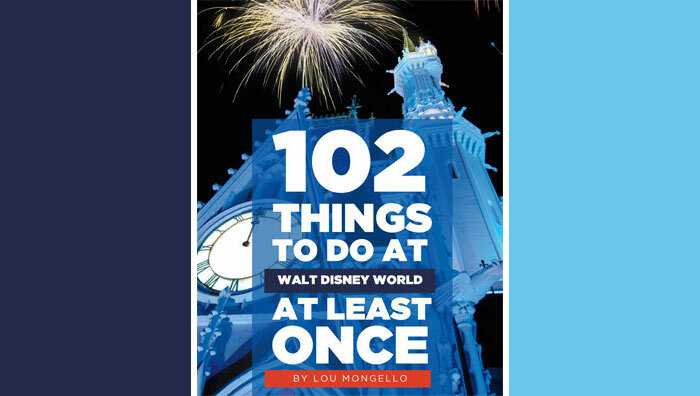 Well, that’s gonna do it for the March 2019 Edition of the WDW Radio Newswire. But I’ll be back again next month with lots more news, notes, and happenings from Walt’s beloved Florida Project! 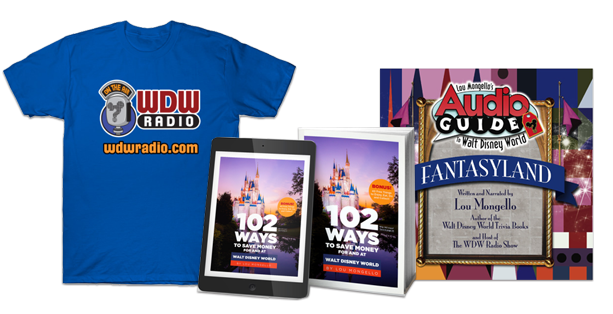 To learn more about Don and read his recent posts for the WDW Radio Blog, visit his author page by clicking the link on his name at the top of this post.